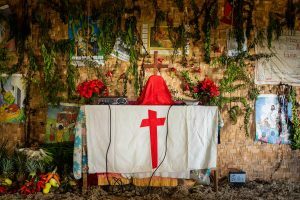 The Lutheran Church—Missouri Synod began work in Papua New Guinea in 1948 at the invitation of a Wauni tribal leader in Yaramanda, Enga Province. In 1971, the Gutnius (Good News) Lutheran Church (GLC) of Papua New Guinea became an LCMS sister/partner church. It also is a member of the International Lutheran Council. During 50-plus years of blessing by the Holy Spirit, the church has grown to a baptized membership of more than 54,500 in approximately 550 congregations. The GLC reports a national staff of 257 pastors, 532 evangelists and 1,040 teachers. The GLC operates Timothy Seminary in Birip (Pidgin language) and Martin Luther Seminary in Lae (English language); Immanuel Lutheran Hospital; four health centers; numerous preschools, kindergartens, primary and secondary schools; and Balob Teachers College. With support from the LCMS, the GLC administers its own programs and trains its own pastors and leaders. Current efforts by the LCMS include supporting the theological education program of the GLC by providing instructors and resources to assist the GLC in training pastors and teachers. The GLC also works in cooperation with another Lutheran church body in PNG, the Evangelical Lutheran Church of Papua New Guinea, to operate Martin Luther Seminary and Balob Teacher's College. The LCMS has offered support for mercy projects in Papua New Guinea related to agriculture training; rural health services; Lutheran schools; dam improvements; technical maintenance training; water supply; medical services and supplies; radio services; missionary transportation; flood, frost and drought relief; and HIV/AIDS testing and counseling. Additionally, through a partnership between the LCMS and Pogera Joint Venure, a medical, educational and spiritual center was developed in the Wanakipa area, an underdeveloped region. Current plans are to assist the Gutnius Lutheran Church in church-planting efforts in outlying areas as well as intervening in the “witch-killing” that is taking place throughout the church’s geographical area. 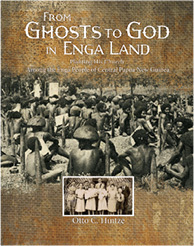 From Ghosts to God in Enga Land features the true story of a man, a mission and an island that had never known Christ — until Otto Hintze and his family arrived to change their lives forever. If you have questions, please contact the LCMS at infocenter@lcms.org or 888-843-5267. The Rev. Dr. Otto C. Hintze Jr. — a former LCMS missionary, seminary professor and mission executive — died March 20, 2016, at his home in St. Louis. He was 92.